The cover of an LP with some music from the series. The Alvin Show is an American animated television series. It was the first animated TV show about Alvin and the Chipmunks, and it aired between from October 4, 1961, to September 12, 1962, on CBS on Wednesdays, 7:30-8pm Eastern. It debuted in black and white, and colour versions of the episodes were not seen until the series entered syndication in the fall of 1965. Each episode was split into 4 different segments; a 7-minute Chipmunks cartoon, 1 music segment performed by the Chipmunks, a 7-minute clip with Clyde Crashcup (a crazy inventor) and a concluding musical clip. It was syndicated on many stations, but it hasn't appeared on TV in several decades, with its last appearance on TV being in 1995 on Nickelodeon. Since then, only 3 episodes have been made available for purchase and 2 VHS tapes with songs from the show in a sing-along format, which are now out of print. Additionally, the segments were frequently rearranged during syndication. 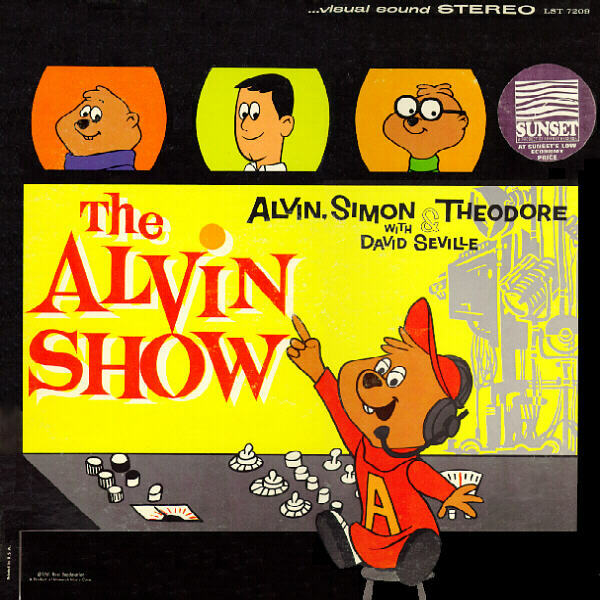 With the advent of the Internet, The Alvin Show became easier to find and watch. In 2008-ish, segments from The Alvin Show were uploaded to YouTube but were taken down by Bagdasarian Productions, the legal owners of the show. In 2012, a Lost Media Wiki user named Rugratskid began re-uploading segments to YouTube, but they were again removed by Bagdasarian. Rugratskid then began collecting any segments he could find and has compiled them on MEGA. He has since uploaded all 26 of the 7 minute Chipmunks cartoons, around 10 of the Clyde Crashcup segments, and around 85% of the music segments. Some of the Clyde Crashcup segments are available for purchase,, but most of the content is difficult to find on DVD today. On September 25th, 2017, LMW user Rugratskid has almost the entire show in his possession. Rugratskid is still missing one segment though, which is titled "Spain." ↑ Alvin Episodes Retrieved 11 Jul '15. ↑ Clyde Crashcup Episodes Retrieved 11 Jul '15. ↑ Music Segments Retrieved 11 Jul '15. ↑ Classic Movies DVD link. Retrieved 11 Jul '15.